Sending a message with things written on clothes is not a novel idea. But move over Kurtis, t-shirts, caps, jeans. Its time to write messages on the sarees. A host of celebrities have recently triggered the trend of literally draping their attitudes by wearing sarees with written messages on them. The message can be auspicious tidings like Nita Ambani’s ‘Shubhaarambh’ sari which was a Sabyasachi creation with the word embroidered on her blouse and Deepika Padukone’s ‘Sada Saubhagyavati Bhava’ bridal choli. 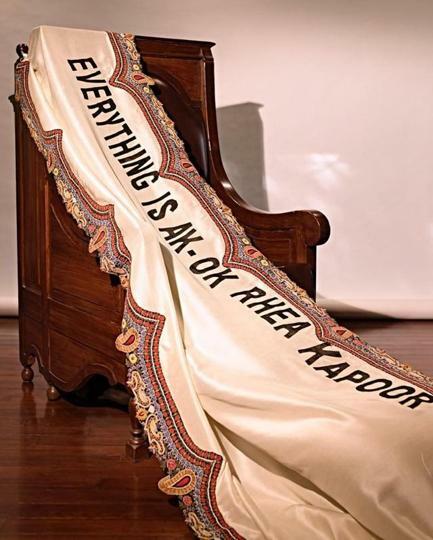 Some saris like Sonam Kapoor and Rhea Kapoor’s ‘Everything is AK-OK’ just reflects how they feel and their approach towards life. The words customize the sarees to the personality. 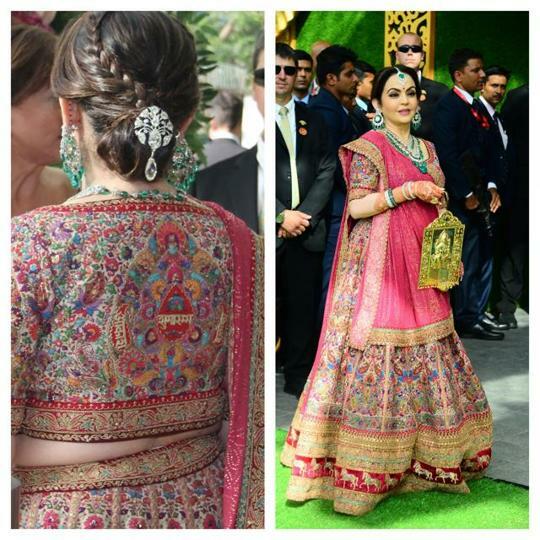 Typed saris are not just a fashion trend in Bollywood. During the election season, there have been an outpour of 'political sarees' ranging from Narendra Modi sarees, Rahul Gandhi and Priyanka Gandhi sarees featuring their faces along with the Party slogans. 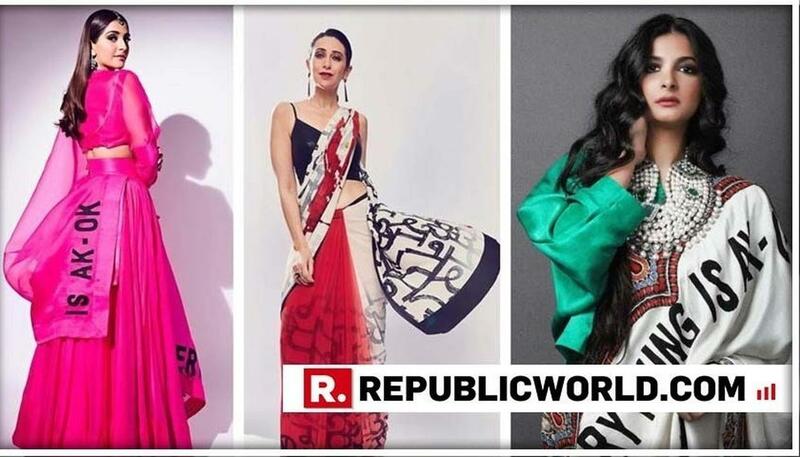 While many are tired of seeing the politicians on constant rallies, various announcements all over the news, some just don't seem to get enough of the political breeze in the country, willing to pay for these trending 'Lok Sabha' sarees. not just words but prominent events have also featured many a time as a message on the sarees. Cashing on the surgical strikes, themed saris with the words ‘Surgical strike’. Being woke in the ‘traditional’ way, seems to be an up and coming market in India. Balenciaga's 'Multi-layered Over-sized Parka' inspired by Joey from 'F.R.I.E.N.D.S. '?